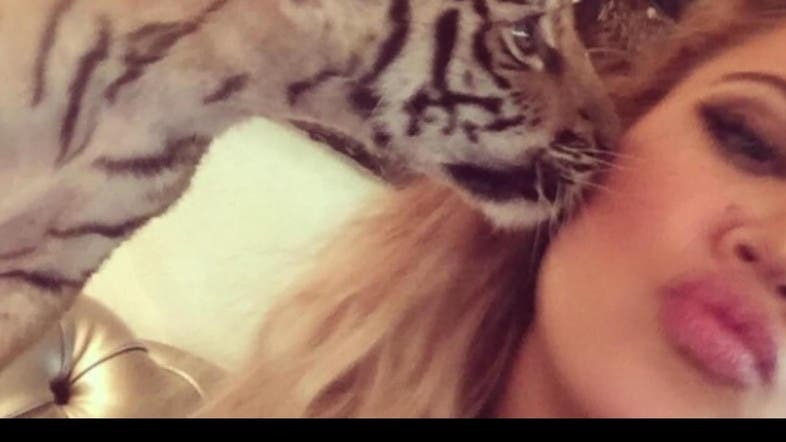 American reality TV star Khloe Kardashian has garnered more attention with her latest stunt, posing with a tiger cub in a photo. The selfie was taken by the star while visiting Dubai ahead of an appearance at a hair styling event at the Dubai World Trade Center. The 30-year-old “Keeping Up with the Kardashians” star also posted a number of pictures with other animals on her Instagram account including a giraffe, an orangutan and a stingray. The photos included her feeding the giraffe, cuddling the orangutan – an endangered species and ‘kissing’ the stingray. In comments carried by the Daily Mail, Silia Smith of World Animal Protection expressed dismay at the Instagram photos. The reality star received most flak for her tiger cub photo with many citing the captivity of a wild animal and the fact that animals like the baby tiger are poached from the wild or bred in captivity and often times have their canines removed – a painful and distressful experience. “To people like Khloe Kardashian who love animals, our message is simple: see them in the wild,” Smith urged.